[NCWD] – Newhall County Water District was honored Thursday, April 26, as a green building leader among Southern California public agencies for its new LEED Gold Certified office building. The Award of Recognition acknowledges municipal and government entities committed to sustainable building. The honor was presented to NCWD during the Municipal Green Building Conference & Expo, an event co-sponsored by the Los Angeles and Orange County chapters of the U.S. Green Building Council and Southern California Gas Company. When asked by presenters about NCWD’s decision to construct a new headquarters with multiple sustainable features, Board President Maria Gutzeit said she was happy to have helped push the process from deliberation to “go” and thanked water district staff for completing a project on time, on budget, and with no added cost to ratepayers. “Public agencies need to set the example for sustainable practices because it’s both the right thing to do and demonstrates a more efficient use of taxpayer money by using less of our natural resources,” Gutzeit said. “Newhall County Water District certainly enjoys being recognized for this accomplishment, but we also remain committed to showcase our facility as inspiration for others to take similar steps to be more sustainable at home and at work,” said Steve Cole, NWCD general manager. LEED (Leadership in Energy and Environmental Design) is an independent, rigorous assessment of a building’s green design, construction, operations and maintenance. Administered by the U.S. Green Building Council, LEED certification reviews human and environmental health, sustainable site development, water savings, energy efficiency, materials selection and indoor environmental quality. 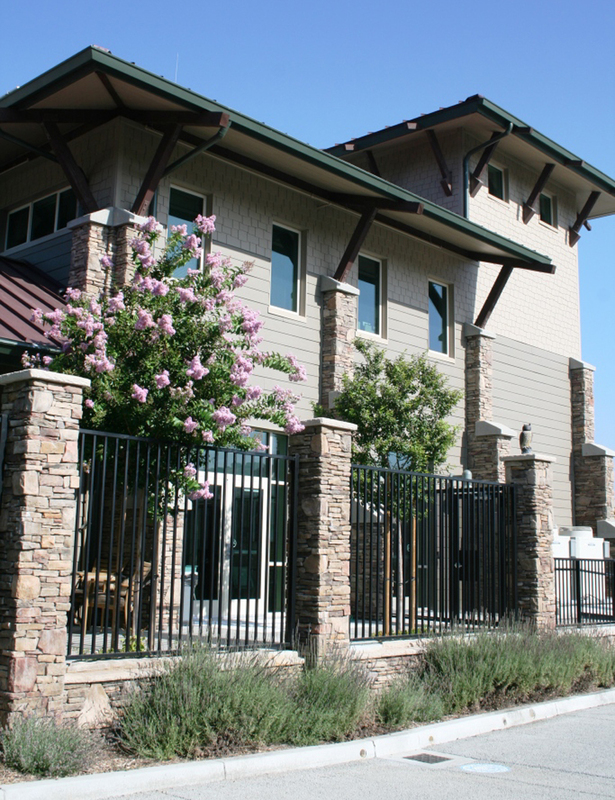 NCWD’s new office facility attained a Gold certification, the second highest level, for a variety of sustainable features and operations. 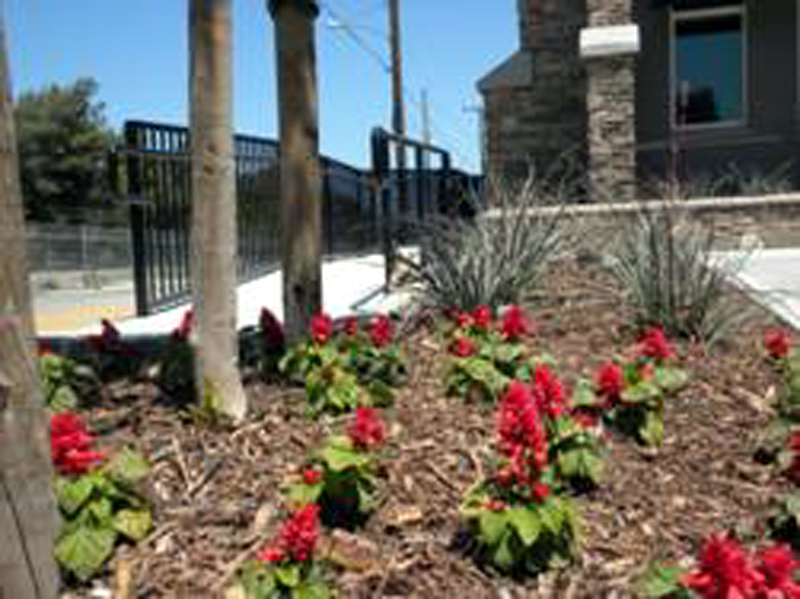 These include the use of drought-tolerant landscaping and installing a pervious parking lot, which allows rain water to recharge the local aquifer and reduce stormwater runoff issues. Super-insulated walls reduce heat loss in the cooler months, while computer-controlled air-conditioning monitors the individual requirements of 19 rooms. Other features of NCWD’s new office include solar tubes in the ceiling that bring in more natural sunlight to offices, thus reducing demand for electric-powered lighting. 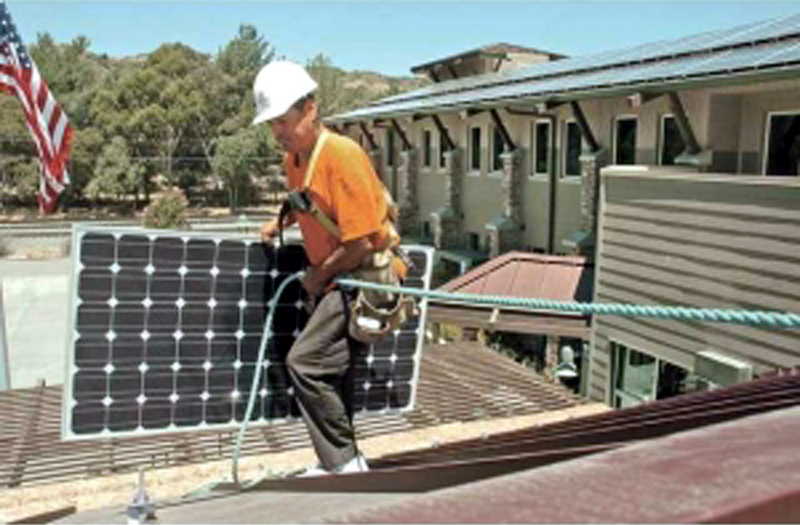 Solar panels on the roof also generate significant free energy for the office. The new office replaced a 40-year-old facility that did not meet today’s energy or water efficiency standards. NCWD’s new office was among 10 municipal projects in Los Angeles and Orange counties recognized for taking the initiative to seek LEED Gold certification. Newhall County Water District traces its roots back to 1913 and is the Santa Clarita Valley’s first public water utility, currently providing service to more than 44,400 residents in portions of the City of Santa Clarita and unincorporated Los Angeles County communities, including Newhall, Canyon Country, Valencia and Castaic.